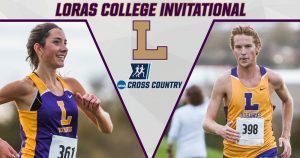 The Duhawks had a race day that will go down in history as they competed at the NCAA Central Regional meet hosted by Carleton College. Not only did the men claim the first Regional Championship in Loras history, but sophomore Audrey Miller and junior Mason Tope both won their respective races, extending their season of success even further. The Duhawks look nothing but primed and readied themselves for their Nationals appearance on Saturday. Coming into the race ranked 10th in the region, the women stunned some teams as they rallied to finish seventh overall. The strong performance was led by none other than Miller with yet another victory to add to her already impressive history, as she finished with a time of 21:19. Miller’s first place finish marks the first time Loras had a women’s Regional Champion since 1997. Coach Bob Schultz had nothing but praise for Miller. “She is such a special athlete who does everything you ask and races so smart,” Schultz said. Also among the top finishers and winning All-Region honors was senior Emily Day who finished in 27th with a time of 23:14. When asked how he felt about the women’s performance, Schultz made it clear that he was thrilled. “(I’m) proud of our women’s race. 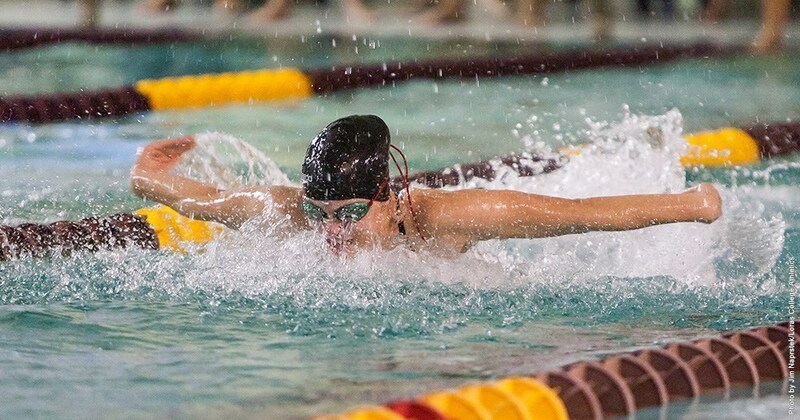 It was a great season and I’m so proud of our women,” he said. Coach Schultz should be proud, as the Duhawks posted big performances throughout the year with eyes on them at each and every race. Although the women’s season comes to a close, they look in prime condition to come back next season as strong and threatening as ever before. The men made history on Saturday with a win at the Central Regionals, marking the first time a Loras team has ever done so. The title of champion was no surprise to the Duhawk men, as they set out knowing that they had what it took to win the Central Region. Their goal was achieved through outstanding performances from many of the men, most notably Tope’s first place finish. Despite difficulties at the Conference Championships, Tope finished with a time of 25:16, earning himself the Regional Champion title, the first Loras man to do so since 1987. Tope’s first-place finish was followed up with more great performances as juniors Brien Nugent, Justin Adams and Timothy Sevcik finished second, third and fourth, respectively, for the Duhawks and earned All-Region honors. Rounding out the top five was sophomore Jack Carroll, closing out their Regional win. “They executed our race plan to perfection, packed it up and moved up the whole race. I couldn’t be more proud of our team,” he said. A big congratulations goes out to both the men and women on outstanding performances at the Central Regional meet. Looking ahead to Nationals, the men will arrive in Louisville ranked 12th in the nation, but they are fully aware that a top eight finish is within their grasp. Audrey Miller will make her first appearance at the national level, and with her ability, there’s no telling how well she may finish.